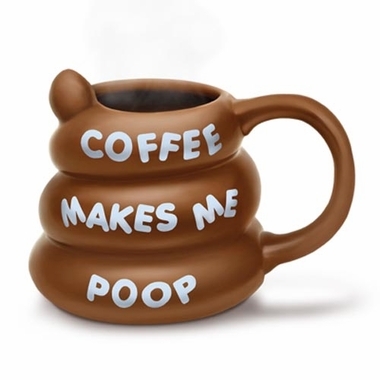 This Coffee Makes Me Poop Mug tells it like it is. Nobody should shy away from the true effects of their morning coffee binge, and this mug will remind everyone of coffee's biggest superpower! The color and shape of this mug speak for themselves; bring it with you to breakfast to make your food infinitely more appetizing. This funny coffee mug holds approximately 8 ounces of coffee. Availability: This Coffee Makes Me Poop Mug takes approximately 1 business day to leave the warehouse.